Tate Britain today announced the four artists who have been shortlisted for the Turner Prize 2018: Forensic Architecture, Naeem Mohaiemen, Charlotte Prodger and Luke Willis Thompson. An exhibition of work by the shortlisted artists will be staged at Tate Britain from 25 September 2018 to 6 January 2019. The winner will be announced in December at an awards ceremony live on the BBC, the broadcast partner for the Turner Prize. Tate Britain also announced a new three-year partnership with BNP Paribas focused on supporting the Turner Prize. BNP Paribas’s support will help to open up access to the exhibition, offering free entry to everyone aged 25 or under for the first 25 days of the show. For their participation in documenta 14 and their solo exhibitions Counter Investigations: Forensic Architecture at the Institute of Contemporary Arts in London, Forensic Architecture: Towards an Investigative Aesthetics at MACBA Barcelona and Forensic Architecture: Towards an Investigative Aesthetics at MUAC Mexico. The jury praised Forensic Architecture for developing highly innovative methods for sourcing and visualising evidence relating to human rights abuses around the world, used in courts of law as well as exhibitions of art and architecture. For his participation in documenta 14 and solo exhibition Naeem Mohaiemen: There is No Last Man at MoMA PS1, New York. The jury was struck by the way Mohaiemen’s films explore post-colonial identity, migration, exile and refuge through narratives using fiction and social history that combine the traumas of history with his own family stories. 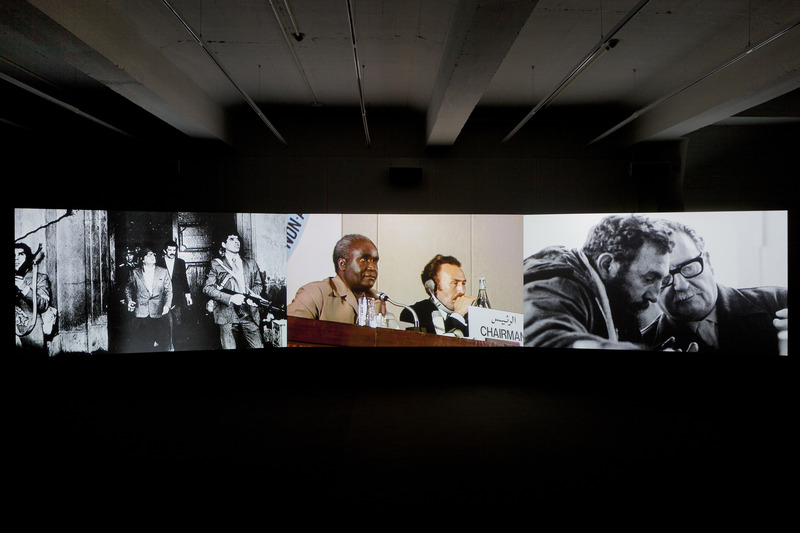 In his films, installations, and essays, Mohaiemen reflects on radical left politics from around the world, investigating memories of political utopias and the legacies of colonialism. For his solo exhibition autoportrait at Chisenhale, London. The jury particularly noted the meditative nature of Willis Thompson’s black and white 35mm portrait of Diamond Reynolds. In this deeply affecting study of grief, the artist addresses representations of race and police violence. An homage as well as a critique of Andy Warhol’s Screen Tests, the artist contrasts analogue and new media. Working in film and performance, Willis Thompson investigates the treatment of minority communities and the way objects, places and people can be imbued with violence. One of the world’s best-known prizes for the visual arts, the Turner Prize aims to promote public debate around new developments in contemporary British art. Established in 1984, it is awarded to a British artist for an outstanding exhibition or other presentation of their work in the twelve months preceding 16 April 2018. The Turner Prize award is £40,000 with £25,000 going to the winner and £5,000 each for the other shortlisted artists. The members of the Turner Prize 2018 jury are Oliver Basciano, art critic and International Editor at ArtReview; Elena Filipovic, Director of Kunsthalle Basel; Lisa Le Feuvre, Executive Director of Holt-Smithson Foundation; and Tom McCarthy, novelist and Visiting Professor, Royal College of Art. The jury is chaired by Alex Farquharson, Director of Tate Britain. Turner Prize 2018 is curated by Linsey Young, Curator, British Contemporary Art and Elsa Coustou, Assistant Curator, British Contemporary Art, Tate. Every other year, the prize leaves Tate Britain and is presented at a venue outside London. Turner Prize 2019 will be presented at Turner Contemporary in Margate. The members of the Turner Prize 2019 jury are Alessio Antoniolli, Director, Gasworks & Triangle Network; Elvira Dyangani Ose, Senior Curator at Creative Time and Lecturer in Visual Cultures at Goldsmiths; Victoria Pomery, Director, Turner Contemporary, Margate; Charlie Porter, writer.